Free Red Rooster Chicken And Chips... TODAY! PSA... 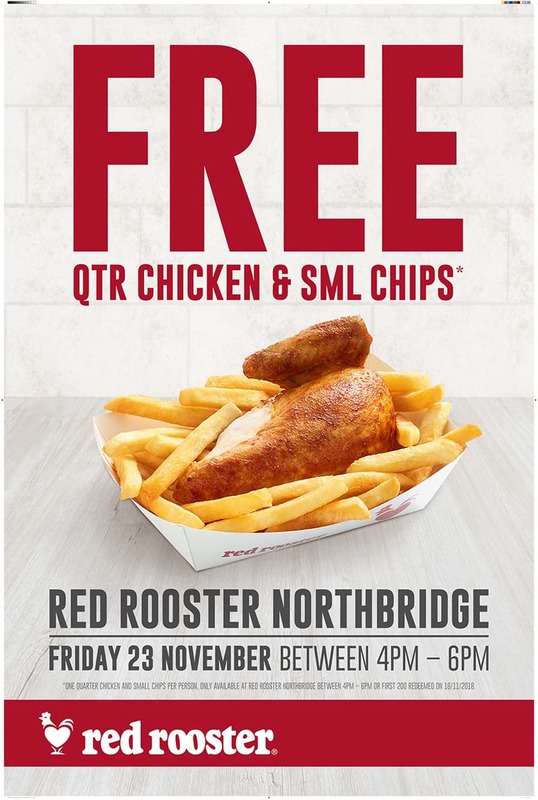 There's free chicken and chips on offer today in Northbridge, all thanks to the new Red Rooster opening up there. Between 4 and 6pm, 200 lucky punters will be tucking into a free quarter chicken and chips at the new store, located at 128B James Street, Northbridge. That's not all... there will be loads of merchandise giveaways, street performers, a Chinese lion dance and Red Rooster’s mascot Reggie.